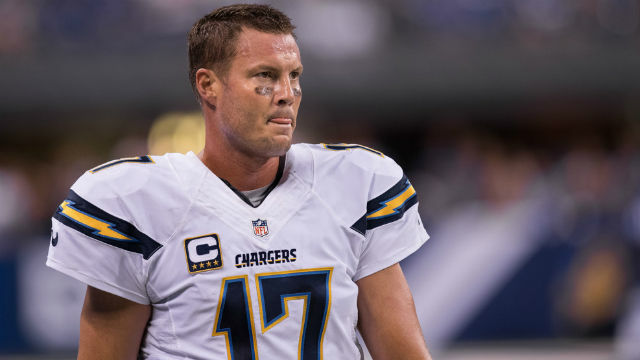 Rivers has not been cleared to play in Sunday’s game against the Buffalo Bills at StubHub Center, Lynn said. Rivers has played every offensive play this season and started every Chargers regular-season game since the start of the 2006 season, 185 consecutive games. Lynn said on Monday he did not know what play Rivers was injured on during Sunday’s 20-17 overtime loss to the Jacksonville Jaguars. Rivers was not sacked but was hit five times. He tackled Jaguars cornerback A.J. Bouye at the Chargers 2-yard line at the end of a 51-yard interception return on what turned out to be the Chargers final offensive play. A player is considered to have had limited participation in practice if he takes part in less than 100 percent of his usual repetitions.